"You'd better watch your mouth." 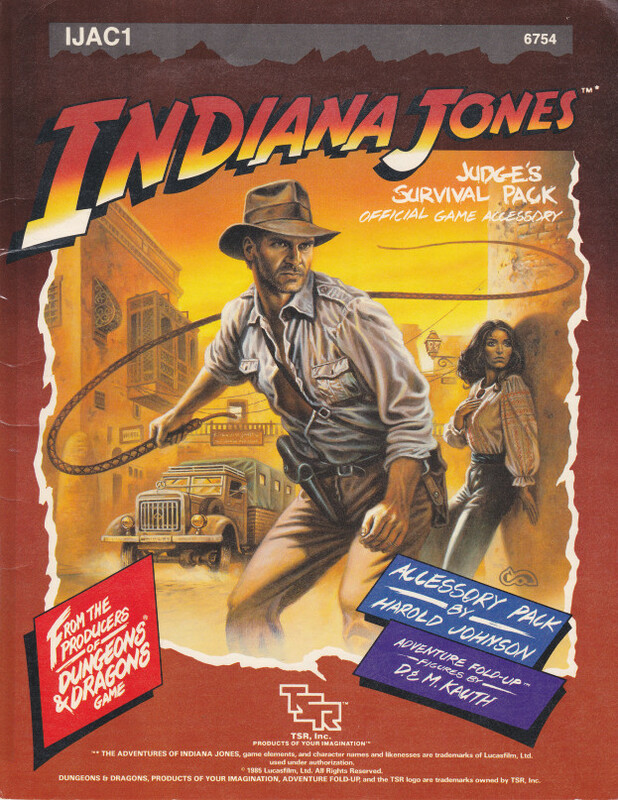 Well, folks...it’s Memorial Day today, and that means I’m reviewing TSR’s Indiana Jones game. There’s a reason that one leads to the other, but it involves 1988 and it’s not important right now. 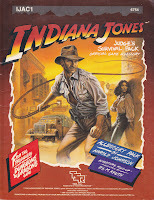 What is important, though, is that TSR’s The Adventures of Indiana Jones Role Playing Game has earned a bad reputation which it does not at all deserve. 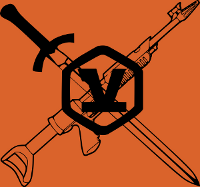 It’s a serviceable, rules-light RPG on a par with that publisher’s Conan game, now known as the OGL game ZeFRS (Zeb’s Fantasy Roleplaying System). Fine, you can do the eye thing. Just so long as you keep reading and gimmie a chance to lay this down. OK? No, I am not craz-I SAID I AM NOT CRAZY. PUT DOWN THE PHONE. Thank you. Now sit still and let me provide my evidence. The Adventures of Indiana Jones Role Playing Game (hereafter TSR Indy) is representative of Tactical Studies Rules’ mid-1980s streak of chart-driven role-playing sytems, with very streamlined rules, simple task- and combat resolution and low barrier to entry. 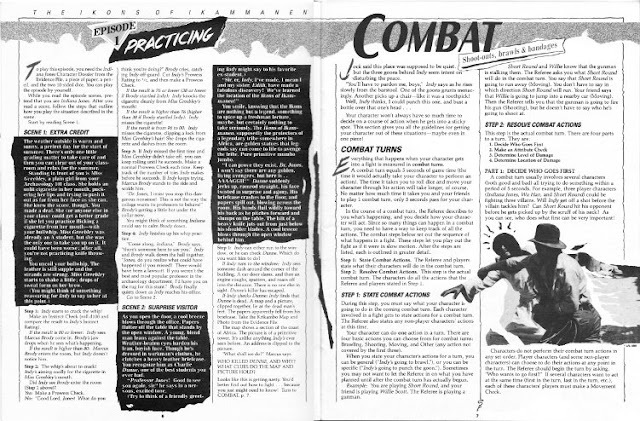 The basic set, published in 1984, was a boxed set containing the rulebook, a pamphlet with props and character sheets, some fold-up cardboard figures, a GM’s screen and a grid printed on thin card. You also got 2 d10s and a crayon, because that is how TSR rolled back then. It did not include character creation rules, it’s true; but I’ll get to that in a moment. Trust me, I’ll cover this. The game rules themselves are pretty straightforward. Your character has a set of Abilities (Strength, Movement, Prowess, Backbone, Instinct and Appeal), rated 1-100; you roll equal to or less to succeed. Success comes in one of 6 degrees, determined by looking at a chart -- but mind you that it’s a smaller chart than the Conan and Marvel Super Heroes games boasted, which is neat. "Oh, yeah. There are rules, too." Characters have Knowledge (i.e. Skills) which let you make Attribute rolls to accomplish specific types of tasks (having Sailing Knowledge lets you sail a boat, navigate using the stars and so on, while Entertainment helps you get jobs in show business or can even double your Appeal under certain circumstances). There are no Hit Points -- there are levels of damage, with different effects based on the type of attack that dealt it (a Serious Wound from Wrestling is much different from a Serious Wound from a Firearm, as you can imagine). There is a nice flow chart for running chases (more on that in a little bit, too), some rules on NPC interactions, hazards, things like that. You don’t just learn the rules, though; you learn to run the game, and at a certain point in the process you start running it for another player and teach him or her the rules. Eventually you run out of rules to learn but you still have plenty of adventure to get down with, and there’s a sub in it. That’s cool. But you know what else? ...in case the topic wasn't clear. 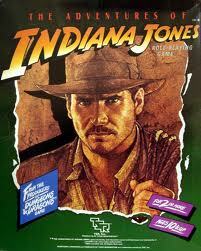 Damn straight, Harris- uh, Ha- um, Rick Deck- er, Indy! 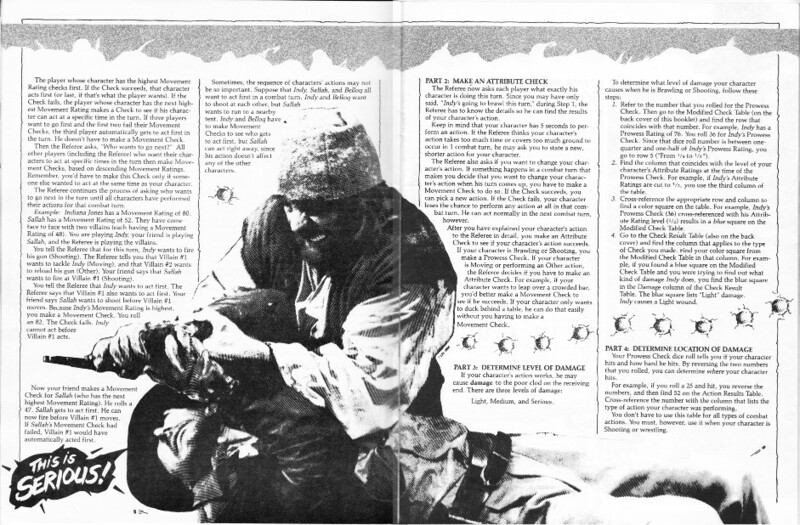 Bullet holes, Indy wrasslin’ a dude -- they knocked the page numbers outta place, even, see that? Oh! Ha! Ha ha ha...! 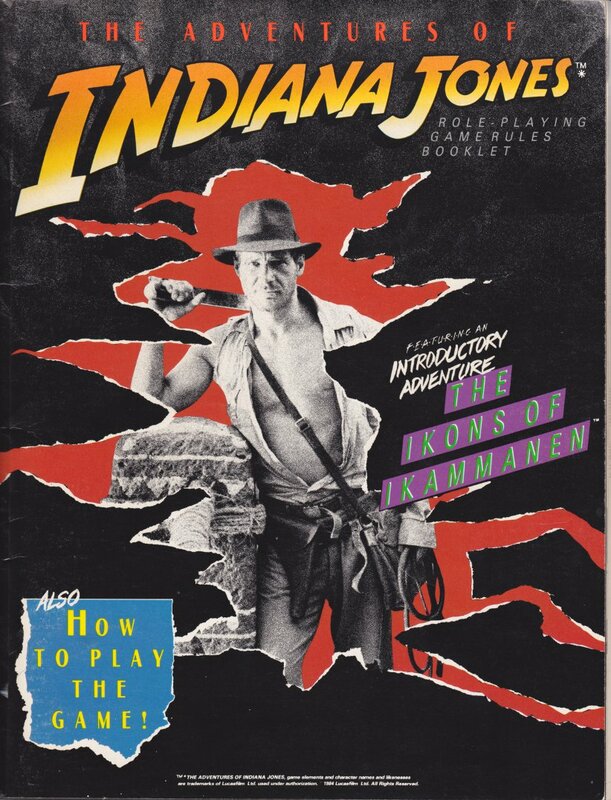 OK, maybe the designers assumed that you wanted to play an Indiana Jones adventure game, not a...Frank...Lamm...Landers adventure game. Fair enough. But let’s say that you do want to play a Frank Landers adventure game. Unless you went back to the store. And really you ought to. That's a Caldwell, by the way. -- let me take a brief moment to discuss the chase flowcharts. One of the coolest ideas in the TSR Indy game was the idea of the Chase Flowcharts. As I mentioned before, the rulebook gives you one to start with, and it’s pretty swank. It’s a highly-abstracted flowchart of circles and connectors and stuff. The flowchart is coded to indicate intersections, distances and potential hazards; in addition, most of the circles had a label, to be referenced by individual scenarios later on. That way, one scenario might say “The chase begins at E and ends at L” and another “The bad guys start at A, the PCs at H, and both need to get to M” and so on, so that the flowchart could be re-used ad infinitum. The Judge’s Survival Pack added MORE such charts, for indoor (multi-level!) and outdoor (city or country!) chases, plus some more rules for stunts and shortcuts and the like. These rules are a little hard to parse out at times, but once you get them you won’t let them go. The flowcharts can be re-purposed for other games, by the way; I speak from experience. ..take up about 12 or 13 column-inches on the printed page. They are simple, straight-forward and I have no earthly idea why they were not in the main set.…...man, I haven’t written a blog post in a long while. Stop making fun of this game. It’s solid, it’s easy and it’s very likeable. So cut it out, already.